Limited partners (LP) speaking at an industry conference have expressed a preference of country or sector focused-general partners (GP), noting their clearer value proposition. 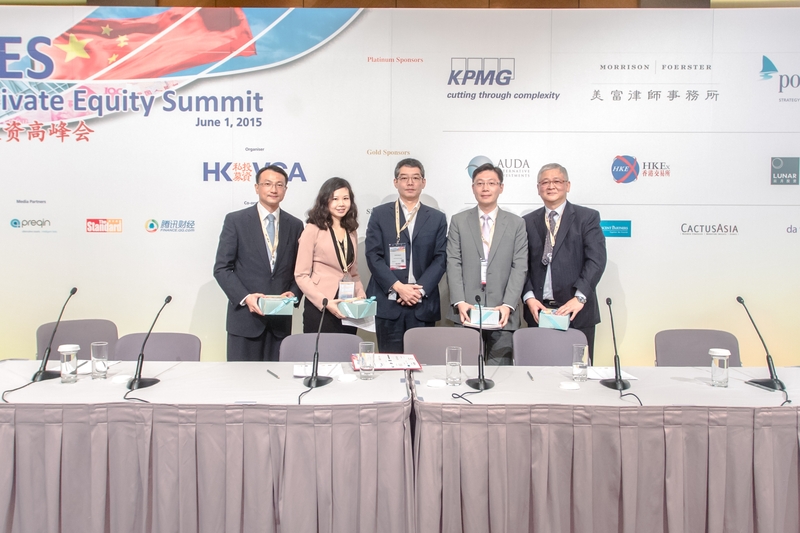 Speaking at the Hong Kong Venture Capital Association (HKVCA)China Private Equity Forum this week, LPs said these funds have abetter chance of differentiating themselves from the pack becausethey may have a better understanding of the complexities of China's markets. While regional funds fulfill an important niche for cross-borderdevelopment, investors are looking to more specific funds for operational value-adds. Yan Yang, director at BlackRock Private Equity Partners, observedthat in the late 90s, they preferred regional funds because thereweren't that many China-focused funds available. And from acorporate governance or risk-return profile basis, it was easier toget comfortable with regional funds. Since then they've shifted to country-specific funds. The universe of country-specific funds has increased, and thedepth of talent, governance and way of practice has improved,Yang said. Today there's a select group of country-focused fundsin China that have a sophistication and depth of talent that is equal to the regional funds and even the well-known international names. While they still have a select number of regional funds in theirportfolio, they now focus on country-specific investments. LPs speaking at an industry conference said they prefercountry and sector-focused GPs to regional GPs when itcomes to investing inChina. They noted that there are more than 4,000 GPs in the country, and it's difficult to discern a successful strategy for regional and even general China funds. But regional funds still have an advantage when it comes to cross-border deals, and few China-focused funds have significant buyout experience. The Chinese market is increasingly complex, noted John Ng,managing director of Simon Murray & Company, who is alsoallocating more capital to country-specific GPs. He noted differentspending patterns between coastal and inland areas, plus anumber of other national nuances. "It'd be a tough order even for a China-specific manager tounderstand all this knowledge and generate good returns for us," he said. That's not including all the other markets in Asia that a regional GPmust account for. Ng noted that no other country in the region issimilar to China in its development, or has similar rules andregulations. He believes there is little synergy or competitiveadvantage for a regional fund doing China deals. Pamela Fung, principal at MorganStanley Alternative InvestmentPartners, said their preference is for sector funds at the lower end - or less-efficient end - of the market. That gives more room for proprietary deals and valuations thatmay not be at market. It'd be a tough order even for a China­ specific manager to understand all this and generate good returns for us. "The other thing we're looking for iswe're trying to understand why the GP will succeed at a particular strategy," she added. In China, she said, there aren't many sector-focused funds. Whileconsumer and healthcare funds are emerging, it's unclear whetherGPs have the operating experience to help the companies grow. Cross-border deals are an area in which larger, more regionalfunds are more equipped to play, she said. They have the deepregional or global resources, whereas a small fund based in Chinawith investment professionals from the country may not have thosenetworks. Ng agreed with many of Fung's points; he said the ideal GP would be sector-focused, buyout, and has operational value-add and cross-border capabilities. Part of that is because the market is a pure numbers game. Ng saidthat there are over 4,000 GPs in China, and the majority are generalists. "It's very hard... for these guys to generate alpha which is what myprincipals pay me to do," he said. "So we go for the sector focus." A sector-focused team should have better knowledge and industryresources to help portfolio companies overcome issues, he added. Buyouts are another issue. Most China GPs do not have buyoutexperience, he said. That's important because the GP must dependon the majority shareholder to adopt the best business strategy, hire recommended personnel and exit at the optimal window. "That to me will sometimes take a toll on the highest possiblereturn," he added. Copyright © 2014 SMC Capital China All Rights Reserved.